The OEM Scion/Toyota 2AR-FE crankshaft pulley tips the scales at almost 70oz, while the NST prototype pulley weighed in at only 25oz. This means that the NST CR-Lite Crank Pulley is about 70% lighter than the OEM pulley that it replaces, and should lead to better horsepower and torque numbers on the dyno, better throttle response, and quicker acceleration. 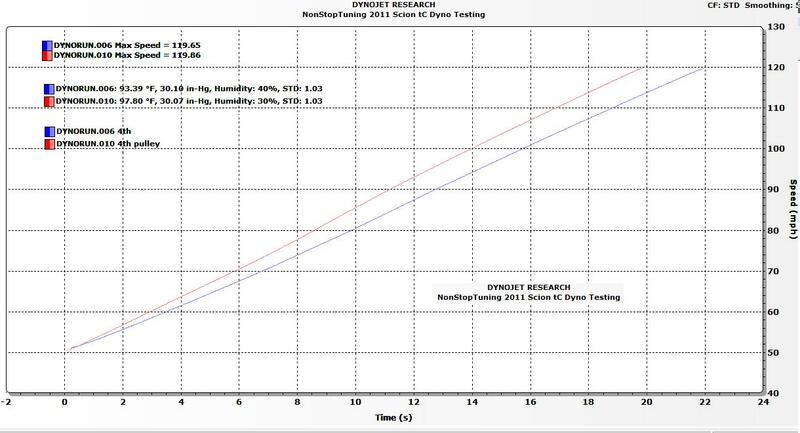 Our dyno testing proved our theories to be true. 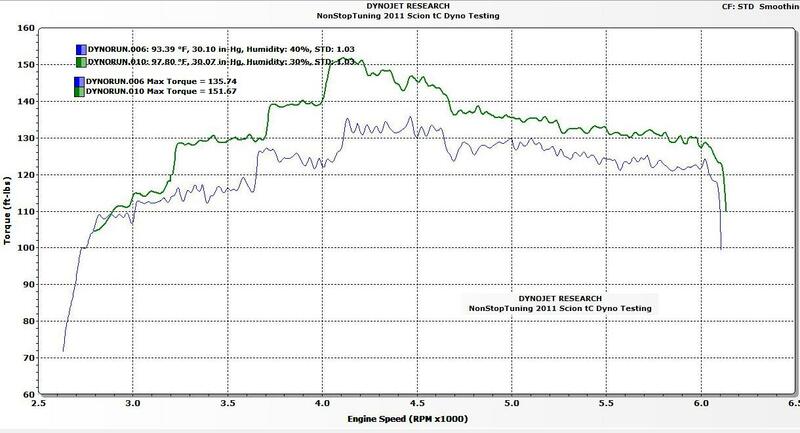 Josh’s tC recorded 142 whp and 152 wtq on the Carboy dyno in southwest Houston. Next up, we would install our prototype CR-Lite Crank Pulley and test again. It is important to keep in mind that all of our baselines, our installation, and post runs on the dyno were performed on the same day. This is vital in keeping external variables under check and ensuring proper readings and results. Josh looking on and hoping for good results! 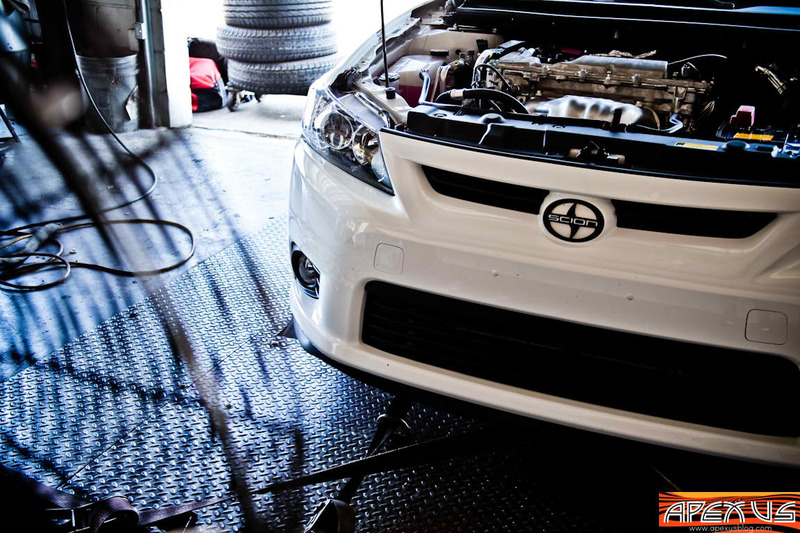 Back on the rollers at Carboy, the 2011 Scion tC liked the NST CR-Lite Pulley! The tC required 22 seconds to go from 50mph to 120mp in 4th gear. Only 20 seconds needed to get there with the NST CR-Lite Crank Pulley. The Scion tCII NST Crank Pulley is available for order on our website. 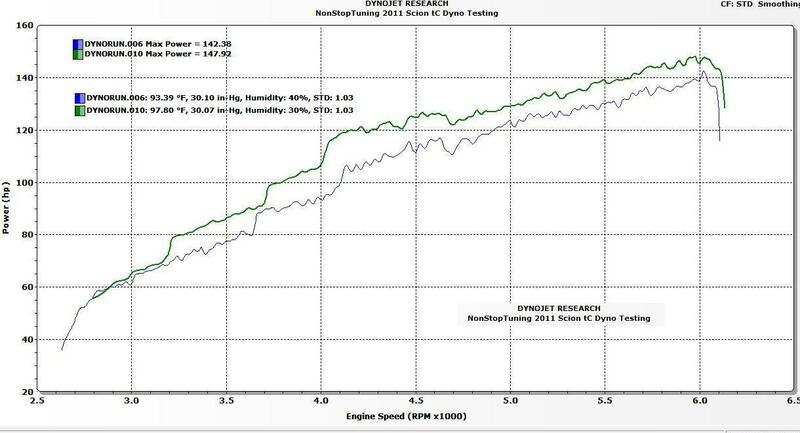 Posted on September 8, 2011, in Motorsports, NonStopTuning, NonStopTuning Media, NonStopTuning Products and tagged Lightweight Scion Pulley, NonStopTuning Dyno Charts, NST CR-Lite Crank Pulley, NST Dyno Video, NST Pulley Weight Reduction, Scion tC Crank Pulley Dyno, Scion tC Dyno Runs, Scion tC NST Pulley, Toyota 2AR-FE Dyno. Bookmark the permalink. 1 Comment.